Contemporary style red leather faced visitors chair. Finished with brushed satin steel leather padded armrests. 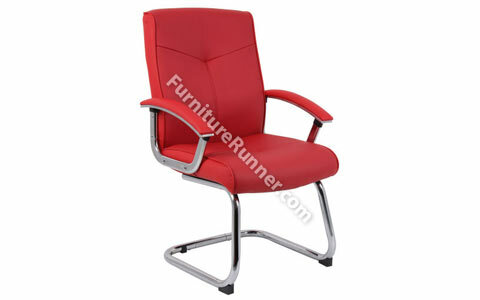 • Contemporary style red leather faced visitors chair • Brushed satin steel arm rests • Requires easy self assembly.